← Drive your Chevy to the levee in Alameda? On December 19, the city council will decide whether to approve the proposed Encinal Terminals project located behind the former Del Monte warehouse at Buena Vista and Sherman streets. The project calls for 589 homes with commercial uses and public shoreline amenities. But before approving the proposal, we should solve its problems now, or we may later wish we had. The proposed project falls short in affordable units, climate adaptation features, sustainable design requirements, infrastructure guarantees, and an equitable public land swap. Affordable units. When it comes to creating much-needed affordable housing, don’t hold your breath. The development agreement gives the developer 15 years to build the project. Yet it contains only the minimum number of 79 affordable units currently mandated by law. The developer, Tim Lewis Communities, claims that some market-rate units will be affordable because they will be built smaller. But since these so-called “affordable by design” units will not have deed restrictions, prices for them could quickly soar. In effect, the unrestricted small units are “profitable by design” because there are more of them to sell. Even small homes in Alameda are not affordable to most working people, let alone homes overlooking the water. The city could and should request more affordable units by deed. Climate adaptation features are close to absent in the project. The site is surrounded by water on three sides with adequate elevation for the time being. But if sea level rise turns out to be more drastic than current projections, the developer says that the property owners will build a sea wall on the wharf and on land. Sea walls are very controversial and undesirable because they are extremely expensive, prone to failure, and simply move the water elsewhere. We should demand adaptation on “Day One,” which could mean raising the elevation. Sustainable Design Requirements. The project’s master plan says these features shall merely be encouraged but not required. Use of solar panels, rainwater and grey-water harvesting, and electric vehicle charging stations in all public parking areas may never be installed. Infrastructure Guarantees. Property owners at the site will be required to pay for maintenance of the public wharf, but not to rebuild it if it is damaged beyond repair in an earthquake. As it now stands, the city as the new owner would be stuck with the demolition and rebuilding costs of the wharf. The property owners, not the city, should be required to hold and fund an insurance policy that covers a destroyed wharf. Equitable Public Land Swap. The site includes state tidelands, public land that does not permit residential development. 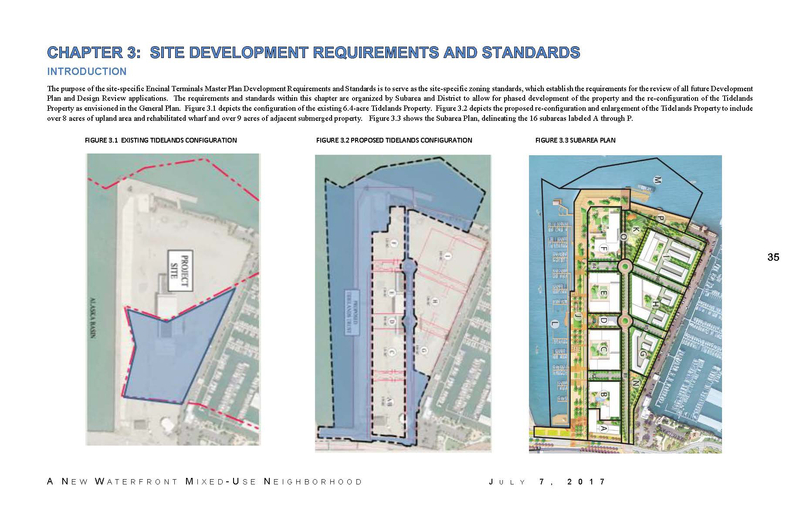 Thus, the developer reconfigured the tidelands’ boundaries to fit its development plan. The city, as trustee for state tidelands property, is being asked to approve a tidelands land swap to accommodate the developer. 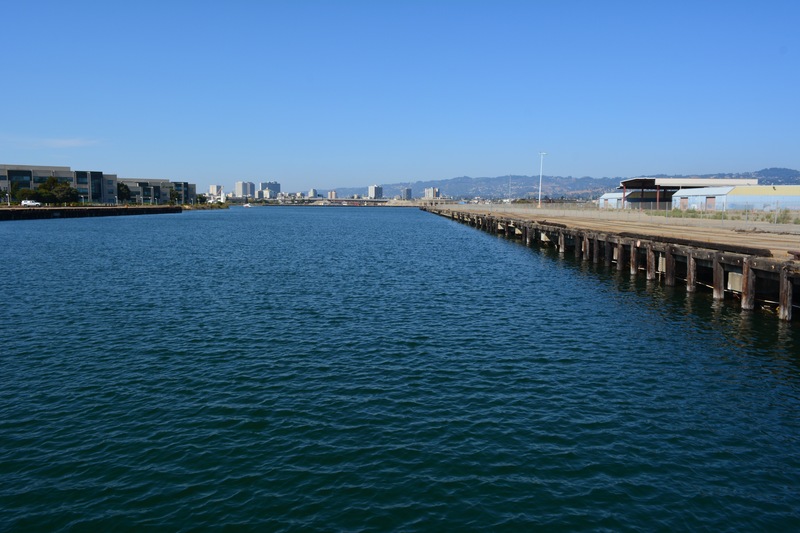 The city could demand fair market value for the tidelands, with the funds to be placed in the city’s Tidelands account and earmarked for a tidelands project at Alameda Point. The approved but unfunded DePave Park on Seaplane Lagoon would be a good recipient, producing the first major sea level rise and climate change shoreline adaptation in Alameda. The city council should ensure that measures be taken now, at the outset of the project. Otherwise, one day we’ll look back and wish we had done better. 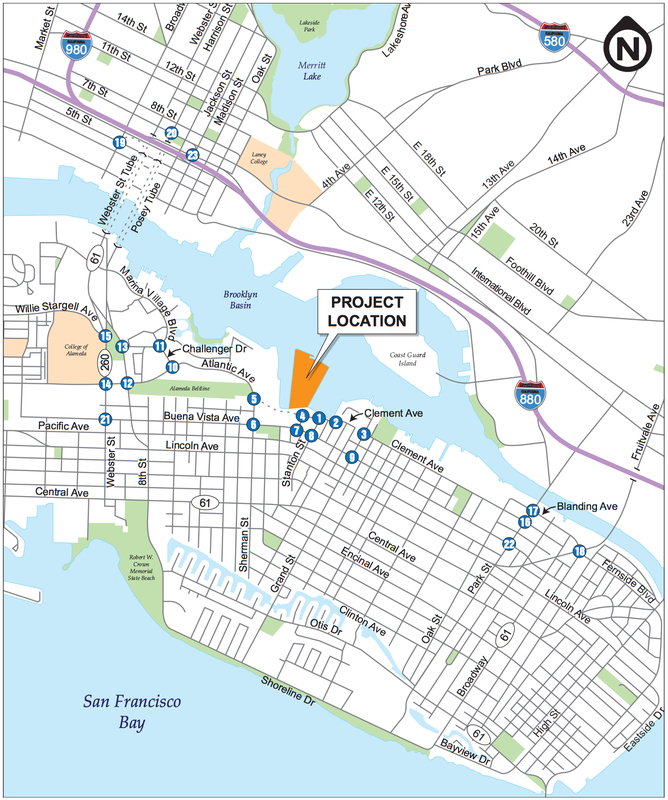 This entry was posted in Economic Development, Environment, Housing and tagged Alameda, climate change, Encinal Terminals, Star Harbor, tidelands, Tim Lewis Communities. Bookmark the permalink.